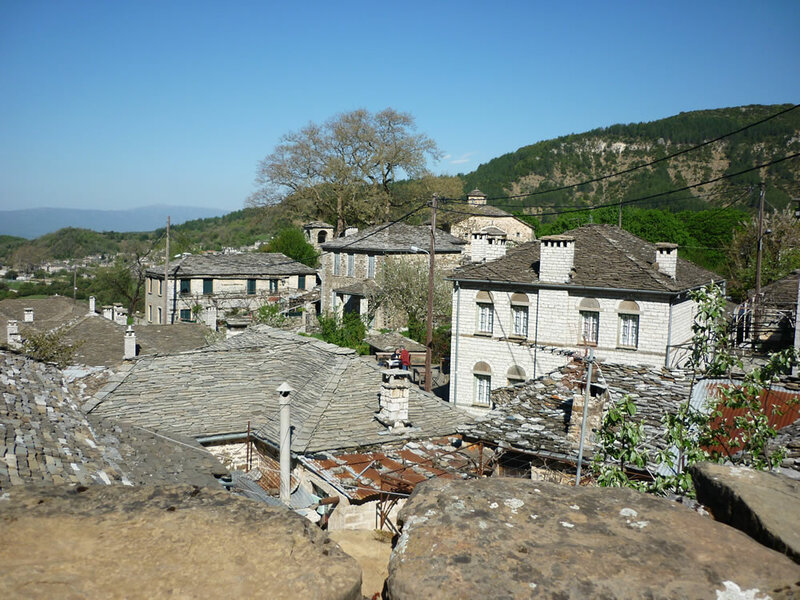 This is a nearly four days (three nights) exploration trip from Cyprus to north east part of Greece that comprises mainly of a walk in Vikos Gorge, easy rafting in Voidomatis river and pauses in Ioannina and Kastoria while on transportation by car between Thessaloniki airport and Zagorochoria. It is assumed that all participants take the same flight from Cyprus and back to Cyprus (in other words, that they are fine with the transportation arrangements to and from Zagorochoria). On Day 1 from Thessaloniki airport travelers are transported to our accommodation in Zagorochoria (probably in Mikro Papingo village). Our route will be via Ioannina with the return route via Kastoria (alternatively we will switch the order). We have a small break at Ioannina (or Kastoria) before reaching our destination. It takes us five - six (maybe even more) hours to reach Zagorochoria. The day is spent on relatively slow travel, exploration and relaxation. 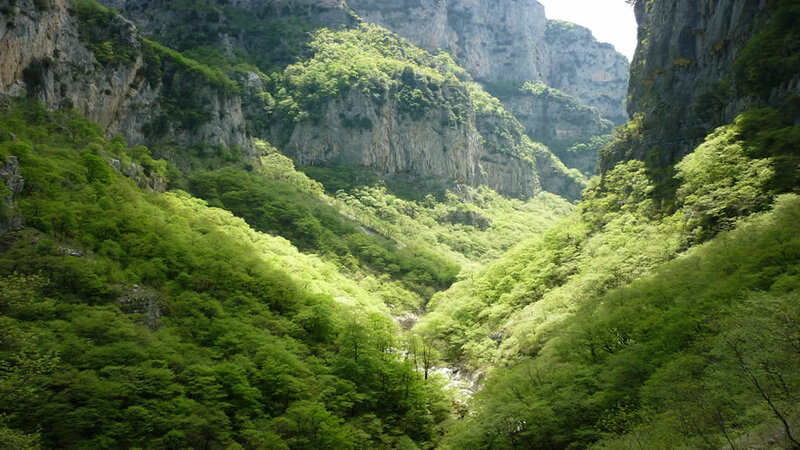 On Day 2 we do the amazing Vikos Gorge walk, an experienced to be cherished and remembered. First we travel to the village of Monodendri. We usually finish the walk at Vikos village (if travellers prefer we can walk longer until we return to Mikro Papingo). Info on the Vikos Gorge walking route. On Day 3 we do an easy rafting expedition on Voidomatis river. This is an excellent eco-friendly activity in beautiful surroundings, suitable for all. Info on rafting in Voidomatis. It should be noted that the order of the activities (walking and rafting) may change, depending on weather and similar conditions. In the unlikely case that the conditions for one of the activities are not good then we may do a different walk in the area or exploration by car. On Day 4 we return by car to Thessaloniki airport to take our flight back to Cyprus. Depending on the route that we took on Day 1, we will take the alternative route (in other words either via Ioannina or via Kastoria) so that we visit more excellent places in beautiful Greece. Transportation to/from Cyprus airport (in the itinerary Nicosia - Limassol -Paphos). All relevant transportation in Greece. Three nights of Accommodation in Zagorochoria (usually we stay in Mikro Papingo - if we do not find suitable accomodation there then we will stay in a nearby village in Zagorochoria - we assume a rate of 30 Euro per person in double occupancy) - Accommodation may include breakfast but this will depend on our final arrangement. two walkers travel together on a Double occupancy basis is 580 Euro per person. a single occupancy basis is 680 Euro per person. Note: It should be noted that for accommodation for the trip we budget 140 Euro per person (double occupancy, possibly with breakfast) and 240 Euro for single occupancy. The final fee will take into account any variation in the hotel cost to be booked. Participants may instead do their own arrangements in which case the total price will decrease accordingly. There is no deposit with online booking of the service. Once we receive a minimum number of bookings then we notify those who booked to pay the fee of the package within a limited amount of time; if they don’t then their booking may be cancelled. The trip takes place provided a minimum number of interested explorers pay for the service.